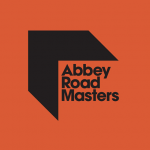 Universal Production Music and sister company Killer Tracks, two of the world’s leading production music brands, have partnered with Abbey Road Studios to launch a new production music catalog, Abbey Road Masters. Killer Tracks today announces that more than 55,000 premium sound effects from the Sounddogs Library are now available for licensing through its website. Killer Tracks, a Universal Publishing Production Music Company, supplied the otherworldly soundscape for a new video from NASA’s Lunar Reconnaissance Orbiter (LRO) mission that reveals Earth’s nearest neighbor as it’s never been seen before. 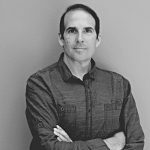 Mark Rome, Director of the Music Department at Killer Tracks, will put his wide-ranging musical knowledge to the test in a Battle of the Music Directors event at next month’s PMA’s Production Music Conference in Hollywood. Killer Tracks, a Universal Publishing Production Music company, has announced the exclusive release of four tracks from the Love Hope Strength Band featuring Mike Peters of The Alarm, an act that produced more than 5 million in record sales worldwide and landed 16 Top 50 UK singles.